Southern Red Velvet Cake - 9" Round with 4 layers. 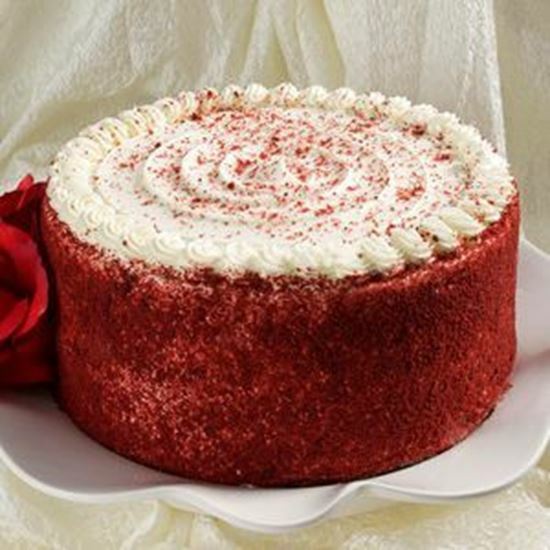 Our traditional Red Velvet cake is made with Cocoa powder. The filled and frosted with Creamcheese Icing, and garnished with toasted Red Velvet crumbs. Serves 12 -18 slices.